All Aboard! 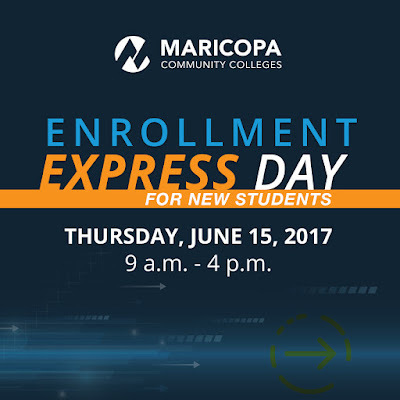 Take part in Enrollment Express Day for new students, Thursday, June 15! 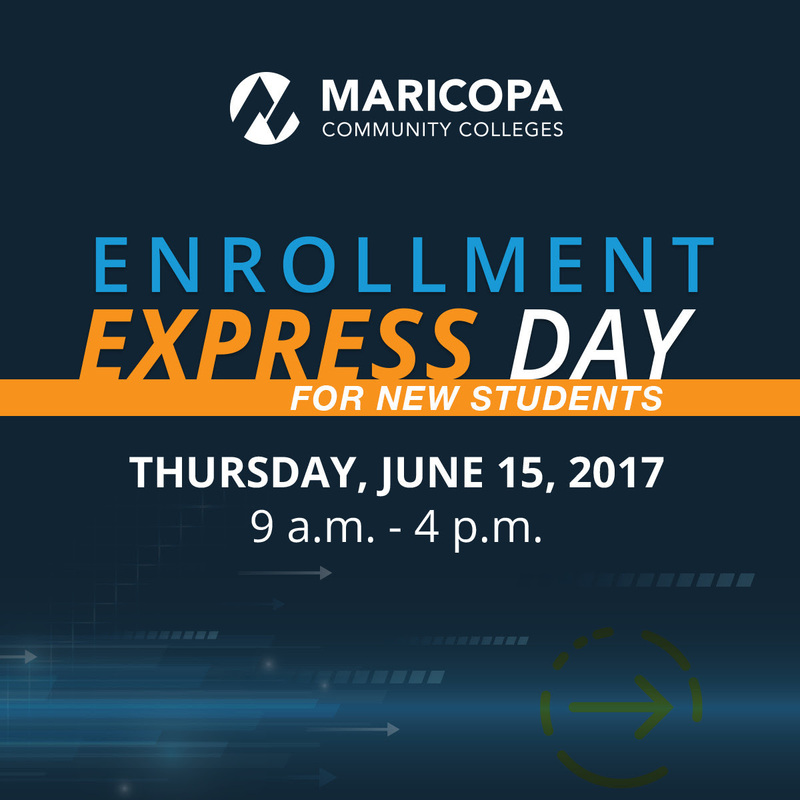 It’s a quick and easy way to complete enrollment in ONE DAY-- at Maricopa Community Colleges all across the Valley!